The sale of passenger vehicles grew by 4.37 percent in April-December 2018 over the same period last year. 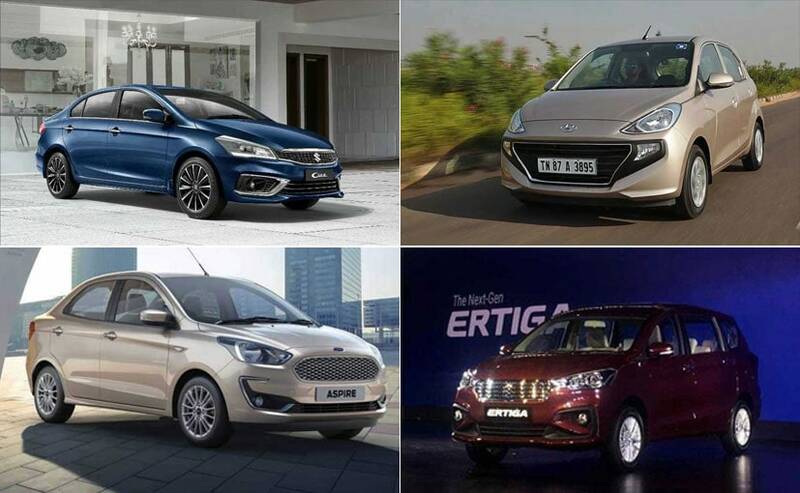 The passenger vehicle segment has had its share of hits and misses in the calendar year 2018. While, sales started on a healthy note at the start of 2018, the auto industry faced several hurdles throughout the year. The rising fuel prices in the second half also led to a drop in volumes and the festive season too didn't bring in any cheers. The industry produced a total 23,861,485 vehicles including passenger vehicles, commercial vehicles, three-wheelers, two-wheelers and quadricycle in April-December 2018 as against 21,432,030 in April-December 2017, registering a growth of 11.34 per cent over the same period last year. The sale of passenger vehicles grew by 4.37 percent in April-December 2018 over the same period last year. Within the passenger vehicles segment, the sales of passenger cars, utility vehicle & vans grew by 4.34 percent, 2.63 percent and 12.89 percent respectively in April-December 2018 over the same period last year. In the FY18-19 budget, the government increased the tax on CKD components to 15 per cent which led to an increase in the cost of some of the models which global players such as Honda and Skoda, among others sell. Furthermore, the industry went through several headwinds such as increase in fuel prices, poor performance by NBFCs, increase in interest rates and to top it all, customers had to pay a one-time insurance premium. Vishnu Mathur, Director General, SIAM said, "We were expecting better growth this year but we didn't expect all of these to happen. Q3 was significantly impacted due to rise in fuel prices and one time insurance payment," said Vishnu Mathur, Director General, SIAM. In December 2018, the passenger vehicle segment recorded a negative growth of 0.43 per cent at 238, 692 units as compared to 239,723 units in the same month last year. The growth for the CY2018 (January-December) stood at 5.08 per cent at 33,94,756 units, around 2 per cent lower than what the industry body was expecting. SIAM expects Q4 to make up for the loss to an extent, as people generally postpone their purchase decision to next year just to get the new year model in a bid to avoid depreciation. Moreover, the industry body is also expecting sales from pre-buying ahead of the implementation of the BSVI emission norms as carmakers are likely to roll out offers to clear inventories.